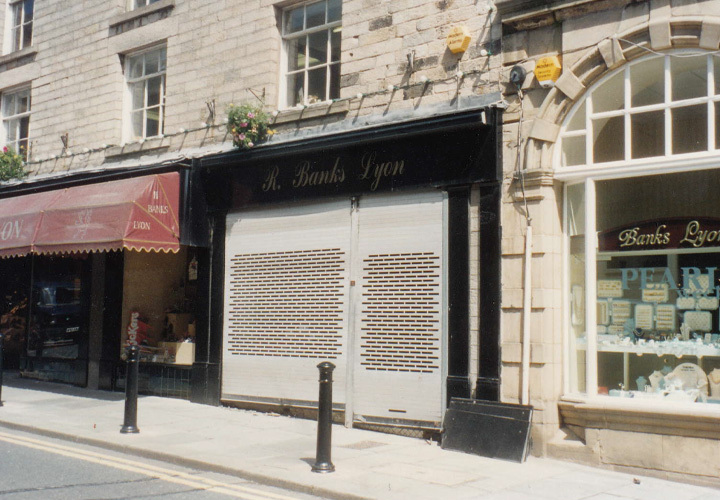 The Banks Lyon family originally opened their store in 1887 when my Great, Great Grandfather commenced trading in shoes in North Road, Lancaster. It was not until 1904 when my Great Grandfather expanded the business and moved both family and business to our current location in Church Street. The family, my Father included, lived above the shop premises for many years before they moved out in the 1930s. 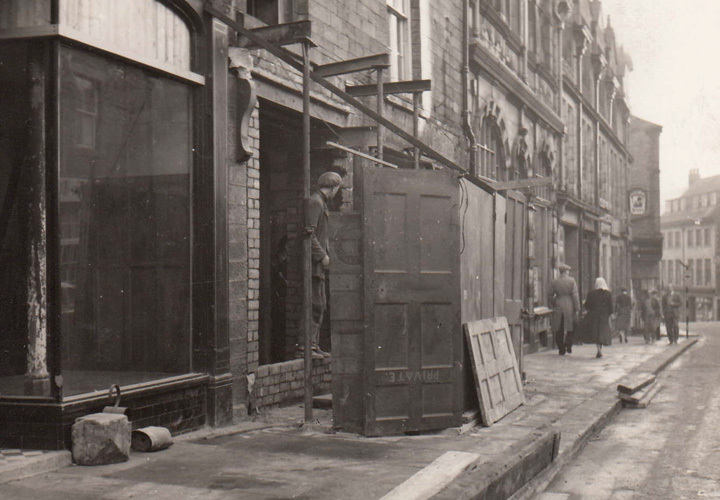 My Grandfather ran the business whilst my Father went to war, returning in 1945 when the business, through his stewardship, grew and expanded into 38 and 40 Church Street. In the early 1970,s my eldest brother took over the shoe business and my Father supported me by agreeing to rent No. 40 Church Street to me. 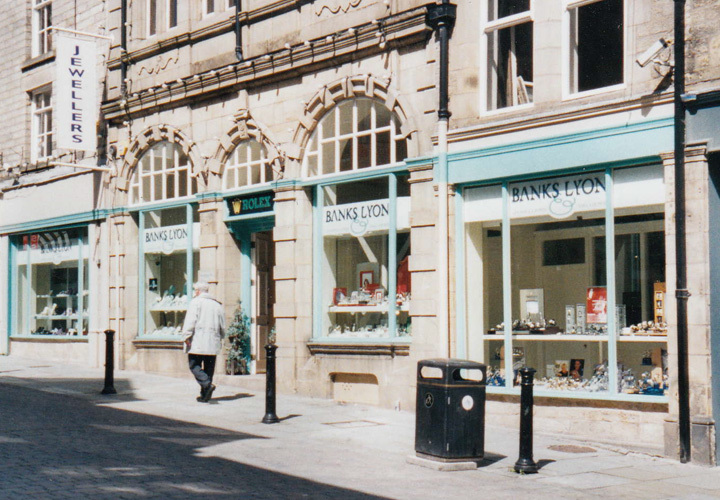 This is where I opened Banks Lyon Jewellers in 1985, with Omega watches as our lead brand. The same is true today. Rapidly, the business grew and we established ourselves as the premier jeweller and watch retailer in the North West. 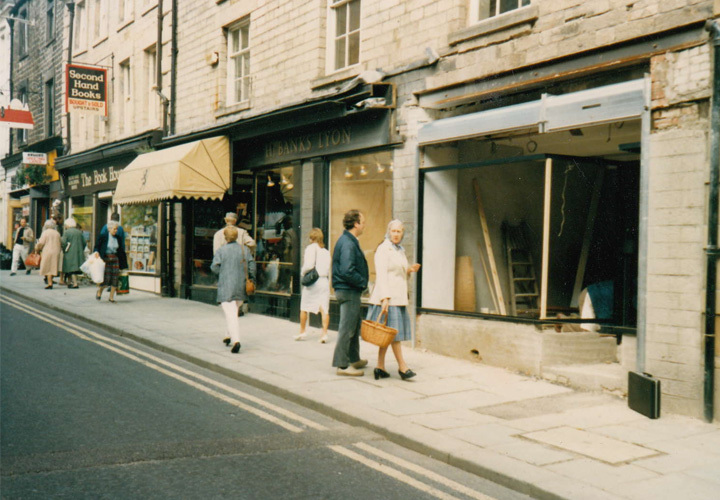 In 1995 - just ten years after opening our doors - the adjacent Lancaster Guardian offices came onto the market, which I quickly snapped up. This trebled our floor space overnight and enabled us to take on more brands such as Cartier, Breitling and TAG-Heuer to name only a few, further establishing ourselves as a destination jewellers. Banks Lyon Jewellers launched their first website. 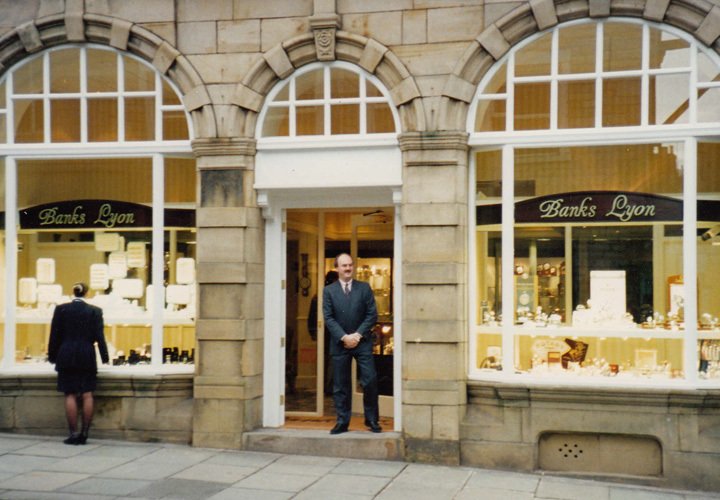 Banks Lyon was one of the first jewellers to go online and - to some extent - lead the way . Now our Internet business is a vital arm to the Banks Lyon retail offering. Never one to stand still and keen to give our clients the best retail experience, Banks Lyon embarked upon a major store refurbishment in 2005, which saw the incorporation of the two units either side of the central unit. Keen not to be seen as purely a retailer of fine watches, exclusive jewellery brands were added to the range, with FOPE gold jewellery, Chopard watches and jewellery and an expansion of Georg Jensen. If we thought the 2005 refurbishment was significant, then the total makeover that occurred in 2016 was a seismic shift brought about partly by my daughter, Maxine and her husband, Alexander, joining the business - one could say the fifth generation of Banks Lyon retailing. To celebrate this landmark, the Hublot range of watches was added to our already impressive stable of luxury brands. There is now no single retailer offering the choice and expertise in the North West that Banks Lyon do. 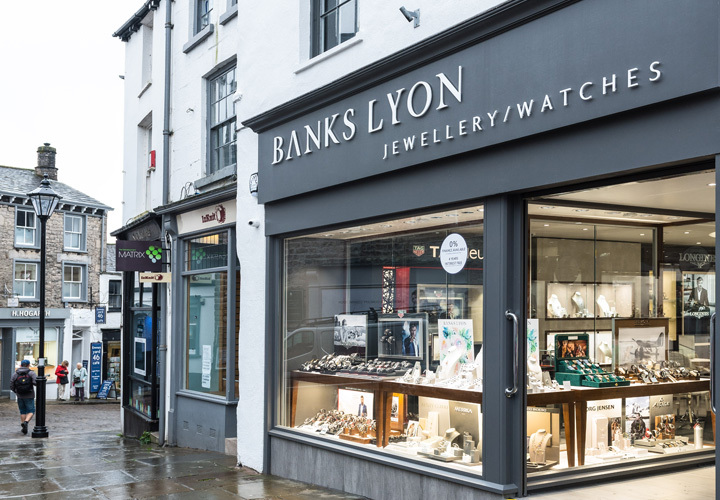 Kendal: After 32 years of Banks Lyon Jewellers and 130 years of retailing, Banks Lyon’s have opened a second store in Kendal. 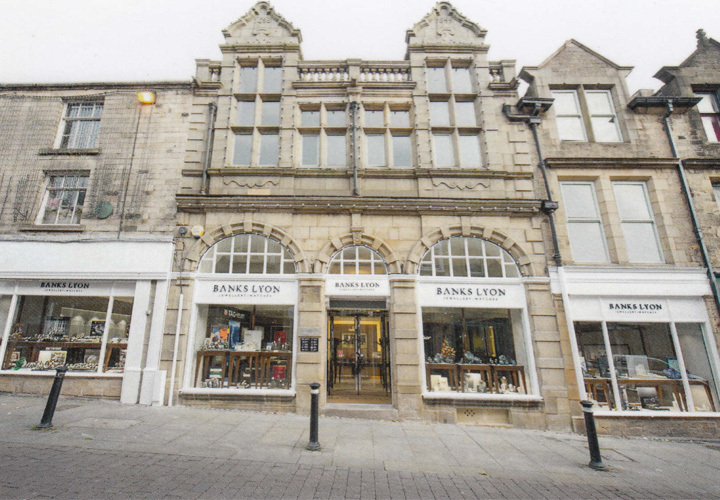 Whilst not a million miles away from Lancaster - which continues to be the location for all our luxury brands - we are reaching out to our customers in the South Lakes and Furness by opening in Kendal with TAG-Heuer, Bremont, Longines and Jewellery by Georg Jensen, Messika and Marco Bicego available amongst others.